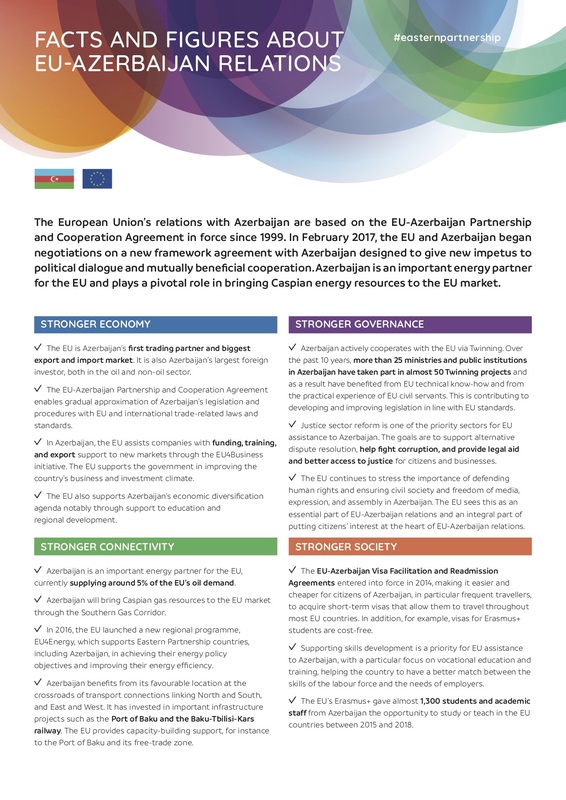 The European Union’s relations with Azerbaijan are based on the EU-Azerbaijan Partnership and Cooperation Agreement in force since 1999. In February 2017, the EU and Azerbaijan began negotiations on a new framework agreement with Azerbaijan designed to give new impetus to political dialogue and mutually beneficial cooperation. Azerbaijan is an important energy partner for the EU and plays a pivotal role in bringing Caspian energy resources to the EU market.